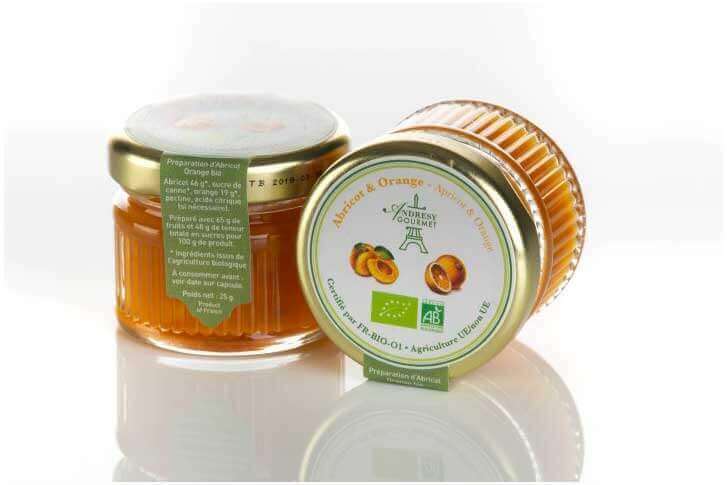 Make a difference with Andrésy’s ORGANIC jams! Andrésy Confitures works with fruit, nature’s bounty. So it is quite natural that, for more than 60 years now, the company has championed environmentally-friendly practices. And for more than 10 years, its eco-responsible approach has been underpinned by the use of organic fruit to create delicious recipes. 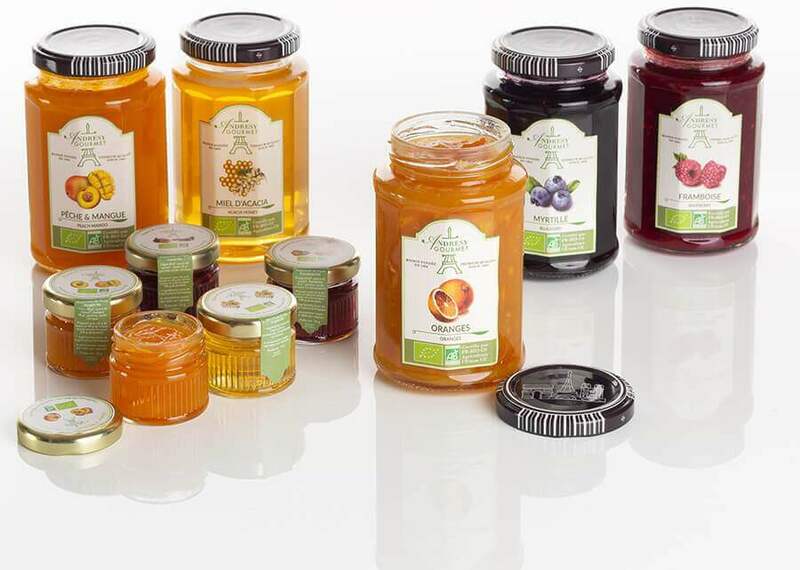 Today, it is reviewing the design and recipes of its organic range of jams to adapt it to a growing demand and the quality standards of its high-end customers. Today, 84% of people in France trust organic products, believing them to be a simple way of defending environmentally and people-friendly agriculture. It is one of the economy’s most prosperous sectors with annual growth of 17%, according to the article on “Good Organic Deals” published in Challenges magazine. 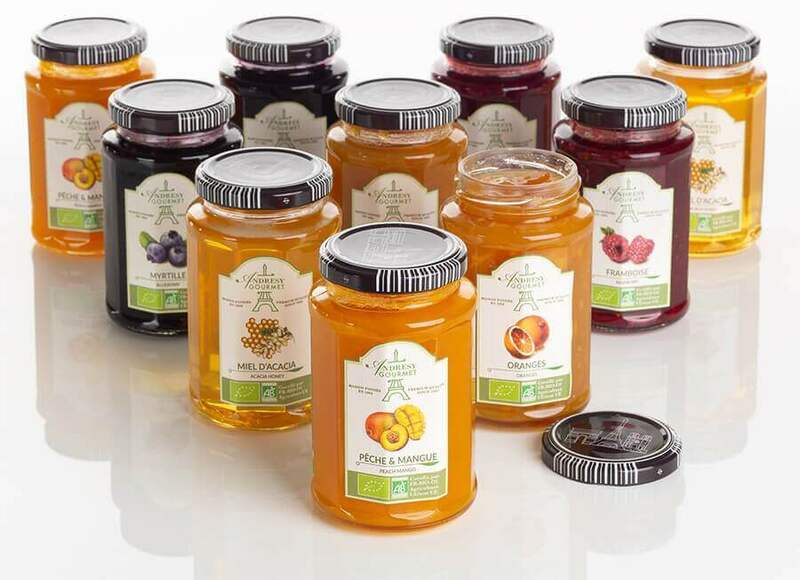 Driven by this marked enthusiasm for healthy products, Andrésy offers French Organic Agriculture-labelled organic jams for your 4* and 5* establishments and your delicatessens. Since an organic offer represents a move upmarket from your point of view, the company has enhanced its Andrésy Gourmet collection with organic recipes in order to adapt its offer to your businesses and your customers, who are increasingly engaged when it comes to environmental issues. With Andrésy Gourmet ORGANIC recipes, you are choosing organic fruit recipes laden with fruit since Andrésy Confitures’ pans contain between 60 and 64% fruit. The fruit is not cooked for as long, the objective being to preserve its authentic flavours and its extraordinary taste qualities. In addition to these organic jams, you will find ORGANIC ACACIA honey for a complete product offer. Organic jam enthusiasts still enjoy the old classics. So they can continue to sample the traditional single-fruit apricot, strawberry and orange recipes that are popular both in France and around the world. In addition to these mainstay recipes, Andrésy has created flavour combinations for those among your customers seeking a touch of originality: fig-blackcurrant, blueberry-raspberry, apricot-orange, strawberry-raspberry and peach-mango. The subtle marriages lift the flavours of each fruit: the raspberry gives a tangy twist to the taste of the strawberry, the apricot softens the bitterness of the orange… It is also an opportunity to introduce people to different fruits: figs, for example, are still not widely consumed in the USA and Asia. Hence, Andrésy Confitures offers upmarket organic jam recipes adapted to an international clientele. Andrésy is moving away from the notion of “jams” in the strictest sense to offer you, instead, recipes containing less sugar and at least 60% fruit, prepared in traditional copper pans. This collection is served in elegant, refined jars of various formats, adapted to your needs. The organic jams come in 25-g jars and the organic honey in 28-g jars for breakfasts and room service at 4* and 5* hotels. The products come in 350-g jars for hotel buffets and delicatessens. These larger formats are designed to reduce waste, a key factor in this market. The company has also redesigned its labels to ensure they meet the requirements of French gastronomy, as recognised on the UNESCO intangible heritage list. Now, the jars are decorated with beautiful fruits drawn by an artist. Today, Andrésy works closely with French organic fruit producers to ensure it meets your high standards. Since agricultural land remains limited, the jam maker selects the best European producers to develop its supply sources within the context of an eco-responsible approach. The high-quality, ripe and flavoursome fruit goes into recipes validated by Andrésy’s customers. The methods employed make Andrésy Confitures your trusted eco-responsible partner, thereby ensuring that your customers place similar trust in your business. Your customers who choose to eat organic products tend to opt for hotels and delicatessens that do likewise. Accordingly, offering them Andrésy’s organic jams is a genuine marketing strength that will enable you to stand out and improve the customer experience.